An international delegation is meeting to avert an environmental catastrophe. Dan and Catherine teach you how to use language from this news story in your everyday English. Ministers from around 100 countries are meeting to finish a declaration to fight global pollution. 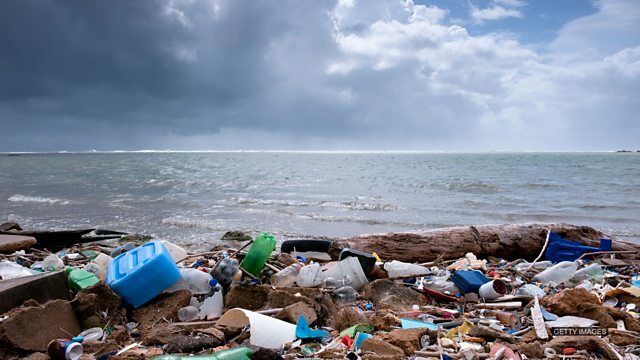 An environmental meeting in Kenya has met to discuss global pollution including toxic paint and limiting ocean plastic. Which of these is not a synonym for ‘limit’? The two warring states have agreed on a ceasefire. It is not known how long this ______ will last. After I put the chemical on my head, I experienced ______ hair growth! I didn't want to be bald, but this is too much hair! I can't tell what's happening. There are fires, explosions, people screaming. It's ______ out there!